Southern model and sometime Mick-Jagger-girlfriend Jerry Hall said on the 1980s talk show circuiit that her momma taught her that there were no ugly women, only lazy ones, and when it comes to beauty regimens, Southern women are not often lazy. 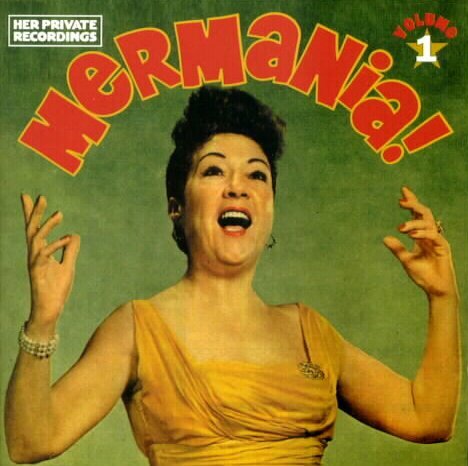 There is a popular book of humor by a Southern woman writer, Celia Rivenbark, entitled We’re Just Like You, Only Pretty, and women in the South tend to spend a lot longer getting ready to go out for anything other than casual events. Southern young women tend to wear a full face of makeup, hair that has been flat-ironed and hair-sprayed into place, and outfits are tidy if not fancy. In that sense, given the time spent on appearance, the statement that Southern women are more pretty might be true, as especially intellectual Yankee women may choose to run out the door with little to no make-up, many own neither flat iron nor hair spray, and appearances are important but to a different measure. Not all Northern women are great dressers, either. There are some fashion victims among us, those who believe that things long-since passe are actually perennially hip, and those of us who think that a t-shirt with an ironic slogan on is good fashion even if it makes lumpy in odd places. I myself will tell you that I am chasing an academic chic look combined with some part of Carole Bouquet’s wardrobe that would fit even an overweight schlub like me. There! That’s my disclaimer before my claws come out. There are two contemporary images of chic in the Southern fashion marketplace, and both are limiting to women. I have something to say about both. The first is an insipid preppy Stepford-wifely look, one which is the lesser of two evils described in this article. It is generally sported by women whose mothers were pretty strict about what qualified or did not qualify as “tacky.” In fact, it is not a tacky look at all. It is Ladybird Johnson’s look on a boring fashion day. The latest firm that sells this kind of country club post-collegiate wear is Draper James, a clothing firm owned by movie star Reese Witherspoon. She models for it, but even she looks a bit upholstered in the floral prints she sells, a bit stifled, and she is utterly gorgeous. Her accessories range from whimsical smart phone covers that say “Hush y’all!” on the back and the ubiquitous overpriced monogrammed items that sell on her website. No one would accuse Ms. Witherspoon of being tacky. But she is selling a look that the Junior League of Jackson, Mississippi probably finds a little stuffy now. The fact that nothing is offensive on her site does not make it inoffensive. It makes it slightly boring, like the lives of the women she caters to, perhaps, women whose adventures are limited by committee meetings and a rigorously kept gym schedule. It’s more sensible than it has to be, and because it has no fantasy of the kind one sees in Vogue, it lacks a certain charm. Like Vogue fashion, though, Draper James aspires, although the aspiration is so modest — to avoid any whiff of impropriety, to keep the embarrassing uncle in the corner at Christmas, to avoid letting the neighbors overhear a marital argument. Those are the hopes of the Draper James customer, not trips to Paris, not island getaways, unless the island is Hilton Head, and the getaway is for yet another round of golf. Pretty, bleached, and unapologetically ignorant by reality television stars promoting fashion out of a truck. The other look that seems to be on the rise in the South is strictly nouveau riche. It is embodied best by the boutique Swank in Atlanta, also known around that city, according to one reality show television personality, as “Skank.” The owner of the boutique, Emily Boulden, and her “Southern Chic Bestie” as she calls her partner in merchandising Nicole Noles, are unapologetically unsophisticated and over-monied, and they are both gorgeous women of a particularly artificial beauty. Both have had plastic surgery (by their own televised admission — they appear both on a makeover show called Get Swank’d and an embarrassment to Atlanta called Pretty Wicked Moms on the Lifetime network, a show so catty it makes any Real Housewives look demure and reasonable), spray-on tans, and bleached teeth and hair. They are incredibly pretty, and they are not the meanest of the Regina Georges on television, but they are almost proud of being ignorant. One asks on one episode if we live in the twenty-first century. Another confuses (though apparently both have college degrees) “decolletage” with “decoupage,” though they work in fashion. They are vain about their looks the way that Ricky Bobby’s fictional hot blonde wife was about hers — in fact, they look like Carley Bobby, and they are about as clever and as vulgar. In episodes of Pretty Wicked Moms, they urinate in the woods, they pick up dog poop, and they get drunk and curse. In one episode, we see them contemplating who they will vote for, and they are so woefully uniformed that their cynical himbo husbands laugh at them — a setback for the Nineteenth Amendment and for gender relations everywhere. These women actually do have a coherent and somewhat original fashion esthetic. It is as if a pageant queen met Bob Mackie on his way out of Cher’s dressing room and started making live-human-sized copies of Malibu Barbie’s wardrobe. Their accessories are absolutely lovely — no, I do not mean that ironically. I love the big, chunky jewelry they choose, the faux-fur accents, the maribou feathers, but the problem is that every look is overstated in its entirety. One piece of clothing from Swank is something a New York woman would surely wear. An outfit from Swank would not be worn except on Labor Day during the Caribbean-American parade. The very name of the boutique, Swank, is an insult to the brand. “Swanky” is what the distinctly uncultured people called the high society social set from a distance. Nobody who actually has “swank,” would ever say “swank.” The sad dysfunction of women who need hours to groom themselves but haven’t read a book voluntarily perhaps ever is depressing, despite the gold lame and jewel tones. The makeovers they perform, these two swankstresses, on Get Swank’d do seem to flatter the recipients quite well, but the two women themselves, if they are the epitome of their brand, they are caricatures of dolls, not women who dress with anything that ought to be called chic (“bestie,” by the way, is not a word that chic people use, either). They seem to aspire to be Stepford wives with more cleavage showing, not empowered businesswomen. They have skills, but they seem to have lost their souls somewhere on their way to the reality TV casting call. So I criticize Southern fashion here in such a manner that I might be a bit Regina George-ish myself, but my intentions are actually pure. If I thought these women, the ones in country club attire monogrammed everywhere, or the ones dressed like guest stars on Sonny and Cher,were enabled to be happy and free by what they chose to wear, if I honestly thought these clothes boosted self-esteem or at least did not damage it, I would be mute on the topic. Instead, I see women who don’t raise their voices at a cotillion on one hand of the fashion divide and women who holler nonsense and obscenities at a pole dancing class on the other. 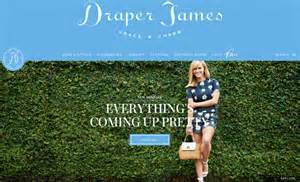 I can only suspect that the Draper James fashion literally hems women in, but I know from watching the reality show the swankstresses joined that clothes do not make the woman, or rather do not make a nasty girl into a strong woman. I see spoiled, petulant nouveau riche lost souls, and I see suffocating debutantes. Where are the cowgirls, the Ruby Thewes from Cold Mountain, and the many, many capable Southern ladies I have personally met? I want them to be honored by Southern chic, and neither of these directions in fashion do. Confederates don’t haggle. They rarely wag their fingers. They walk demurely toward the end of the line, rather than trying to find their way around it to the secret back entrance. In New York, I was never the pushiest woman I knew. I was always somewhere toward the sixtieth percentile in pushiness — not a wimp, not Ophelia drowning, but neither boorish nor crass. I was tenacious but not a bulldog. An example — I went to my local Home Depot. The website of the franchise was offering free delivery for yard furniture last spring, and I wanted to buy some. My local Home Depot had a policy of charging an $80 delivery fee. I talked to three managers, was never rude, but I insisted that the policy didn’t make sense, that they should waive the fee so that the store could get credit for the sale locally, keep everyone employed in town by having such sales, just give me the discount. As I said before, people down South don’t haggle. They think it’s impolite, pushy, to ask for any kind of a discount. Never mind that they are underpaid in comparison to their professional equals up North, never mind that capitalism is always, always the art of the deal, and they believe in capitalism. Never mind that in New York, people just know that only chumps pay retail, that asking, re-asking, and re-re-asking for a bargain doesn’t cost a penny. Solemnly and reluctantly, the head manager finally gave me the nod after two hours of tense negotiation — tense on their part, not mine, because for me, this was just business as usual. They don’t say it admiringly. They say it respectfully, fearful I’ll ask for something new once more. I ask for jobs. I learned this in New York. I walk up to people who have the power to give me work and just plain ask, whether there has been an advertisement or not. If they say no, I’m surely no worse off. Katie Scarlett O’Hara Wilkes Kennedy Butler is the most pushy woman in American fiction, barring no Yankees. She demands Rhett Butler take her out of a besieged Atlanta and slaps him when he tries to kiss her. She shoots a Yankee renegade. She throws dirt on Emily Slattery and her Carpetbagger husband (I forgive you, Scarlett, and I would have done the same). She steals her sister’s beau (and a bunch of other girls’ beaux as well). She starts a lumber mill and beats the male competition by starting a rumor mill about them as well. 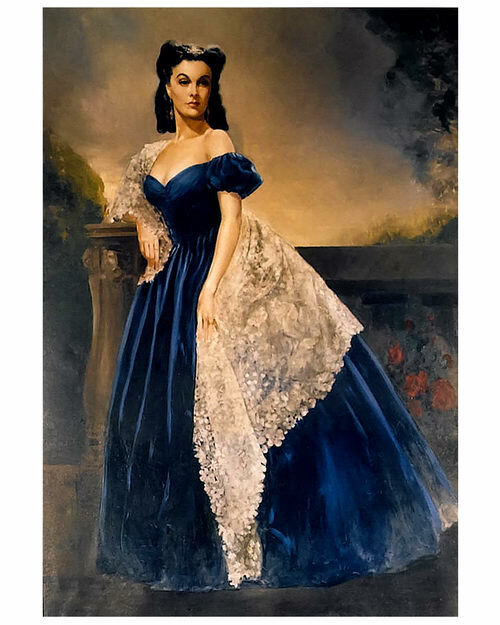 So why — if this is the idealized and celebrated picture of a Southern belle, are all the people around here not pushy, often even push-overs? Flies are attracted to garbage. Forget flies. Give me a job. Give me a discount. Pay attention to me. Take me to your leader. I am honestly trying to adapt here, but if there are people in the South who think that it is better to be forever Miss Congeniality rather than Miss I-Got-Exactly-What -I-Wanted, I’d like them to explain to me why. I see people down here who are surely better liked than I might be –although I think honestly that most people think I’m an interesting character and are very, very kind to me — who are never insistent or aggressive in going after particular rewards or restitution. Honestly, they remind me of the Reconstruction-era dowagers depicted in Margaret Mitchell‘s novel in contrast to Scarlett — the women who starved in gentility, who lost everything but their demure penury, trying to make a lady-like living by hand-painting china. And yet, perhaps I am more like Scarlett O’Hara than any of the ladies I meet in that I insist, I demand, I just won’t take no for an answer. If this is wrong, I hope someone writes a comment here and explains to me what I’m missing. If someone can explain to me why pushiness isn’t Southern but Scarlett O’Hara is so celebrated, I want to know that, too. It is my general observation that those who ask not receive not. Why don’t Southerners generally go after things the way New Yorkers do? The motto of the State of New York is Excelsior — “Forever higher,” where we want our profits and hopes to go. In Mississippi, it is Virtute et Armis — “By valor and arms,” but what by valor and arms? Which victory? I don’t think passivity is very valorous, and arms can be borne, but what are you shooting at? I exhort you, Mississippi. I had a dream, and I dreamed it for you, Scarlett!